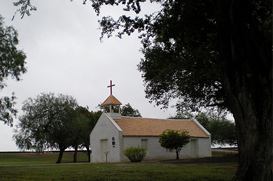 Mission is known as the “tourist Mecca of South Texas” and has many recreational facilities available to the community. These include public parks, public and private golf courses, and many outdoor activities along the Rio Grande River. For the avid outdoorsman, there is plenty of world-class fishing and hunting opportunities. There is a National Butterfly Center that provides extensive outdoor Gardens of native nectar plants to attract and conserve rare native butterflies. Mission is also “Home of the Grapefruit” and began an annual festival in 1932 called the Texas Citrus Fiesta which celebrates the more than 10 million pounds of citrus Texas produces each year. Welcome and enjoy the warm weather and rapid growth that Mission has to offer. It’s a perfect city to do business or raise a family.